Display lyrics on your desktop! This plugin is for showing lyrics on your desktop, just like clients of very many popular online music services does(such as Netease Cloud Music, QQ Music, Kugou Music, etc.). The lyrics must in LRC format, synchronized. 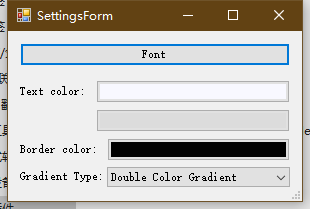 Offset label is supported. It can work with NeteaseLyrics plugin in order to display double-line lyrics, if you can provide lrc splitted with slash "/" it can also correctly handled. Just install this plugin in the Plugins tab in the Settings or put the DLL file into the Plugins of your MusicBee installation, and then enable it, set the lyrics style in the settings, and you're ready to rock! Also, lyrics style can be modified in the Plugins tab. 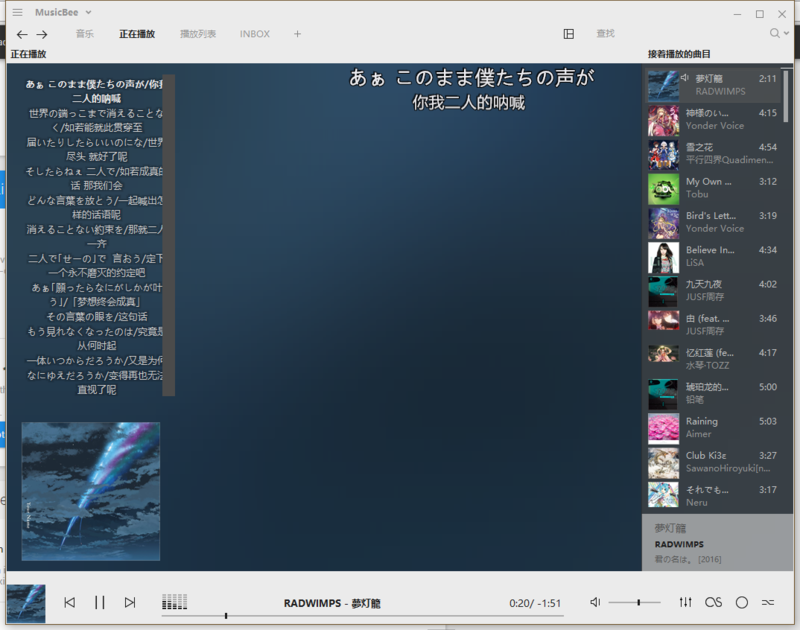 And you can hide or show the desktop lyrics in the MusicBee Menu(View->Desktop Lyrics).